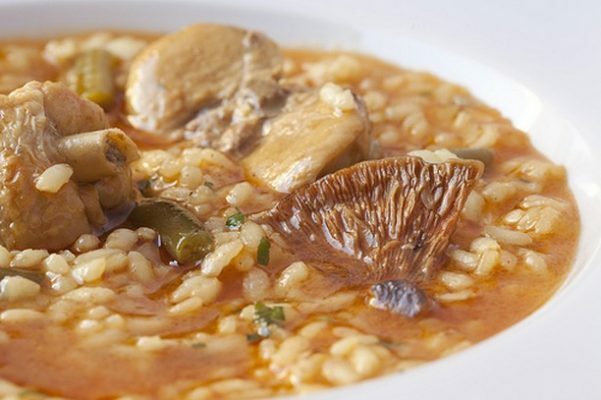 In this post we propose you a list of several Mallorcan dishes. One friend said to me paraphrasing the famous saying of John Lennon, “Life is what happens to you while you’re busy making other plans”, I was thinking that “Life is what happens to you while we are busy looking for a restaurant”. One of the most frequently asked questions is: where to eat in Mallorca? In this post, we don’t answer where to find the best place, but we consider more important what to eat in Mallorca and keep learning about our local culture and gastronomy. 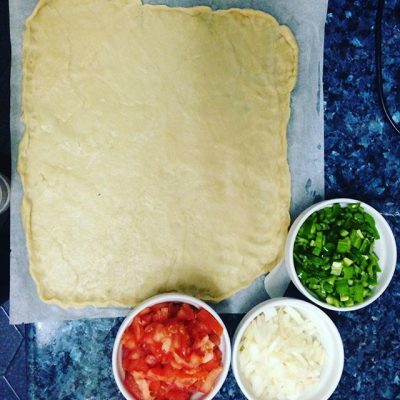 If I had to choose my favourite snack would be “la coca de trempó”: It is a salty Mallorcan flatbread typical of the Balearic with tomato, green pepper and onion. Everything finely chopped and dressed with oil and salt. Simple, tasty and wonderful. 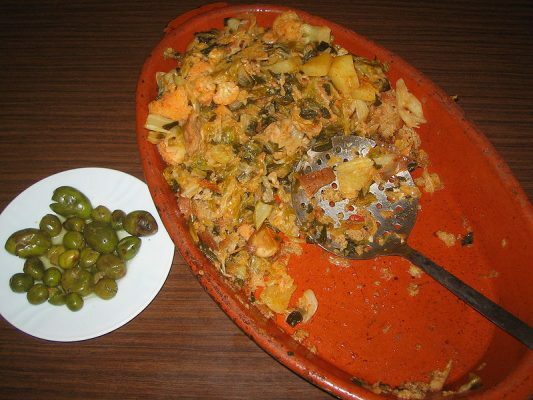 EOne of the most famous and delicious dishes of Mallorca culture. 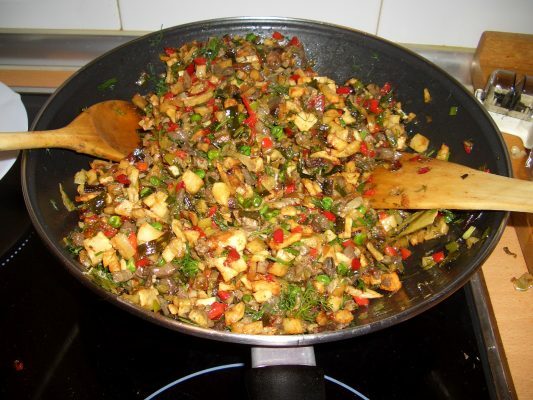 It is traditionally cooked with meat, pluck, liver, pigs blood, lamb, kid meat or even turkey. These are the ingredients of a traditional “frito mallorquin” made of lamb. 2 or 3 red peppers. 2 o 3 bunches of chives. Curiosity to learn about sopas mallorquinas (mallorquin soups) or sopas secas (dry soups) is that you can eat them with a fork and knife: It’s a vegetable stock and thin slices of brown bread. The stock is absorbed by the bread and that’s why they have almost nothing of liquid. El Tumbet is a vegan recipe that can be eaten like unique course. 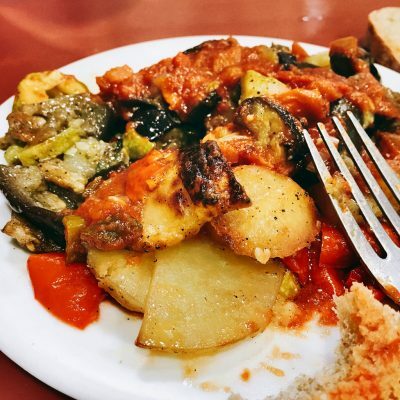 Originally, that were leftovers of vegetables during the season: aubergines, potatoes, red pepper and tomatoes. 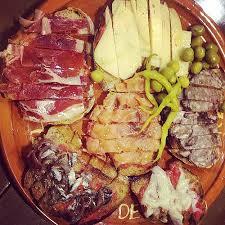 But in Mallorca is more common to serve with a meat or fish dish. This dish means literally “dirty rice”. It is a delicious rice in broth and spiced with an intense flavour of game meat. Perfect for the winter! There is nothing more easy and tasty than the Pa amb oli (or in english “bread with oil”). This recipe was first documented nearly 18th century by the mallorquin friar Jauma Josep Bernat Martí i Oliver. The Mallorcan brown bread is mainly characterised by three things: without salt, to have bread crumbs and uncut. The main players of the Pa amb oli are the brown bread and “ramallet” tomato. The “tomàtiga de ramallet” is a small tomato with hard and dry skin. This tomato is bitter and salty (that’s why some people don’t add salt). The brown bread is done with special flour that makes a dark colour. The wheat flour called Xeixa is called old wheat (in Mallorquin “blat antic”). This product has less gluten than the traditional strong flour. 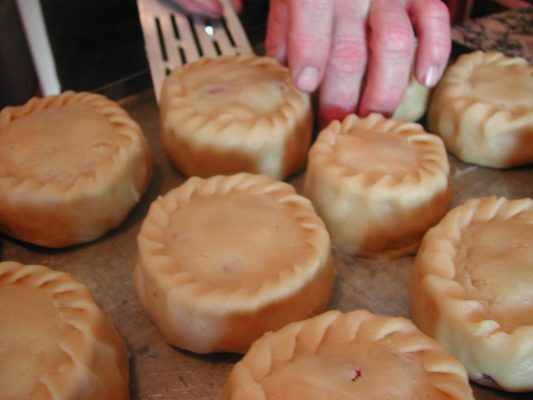 In Easter, Mallorca offers a variety of typical recipes like Panades, cocarrois and robiols. They are cooked with the same dough. The panades are cylinder-shaped pastries made with a yeastless dough and topped with the same dough. With their peculiar half-moon shape, are filled with Mallorcan vegetables, such as cabbage, chard, or cauliflower, to which are added pine kernels and peppers. There are two types of cocarrois: with vegetables (chard, onion, spinach, pine nuts and raisins) or with onion ( with an onion cut filling and tomato). They are semicircular in shape and filled with jam, fresh cheese, pastry cream or sweetened spaghetti squash. This entry was posted in Curiosidades sobre la ciudad de Palma de Mallorca. Bookmark the permalink.